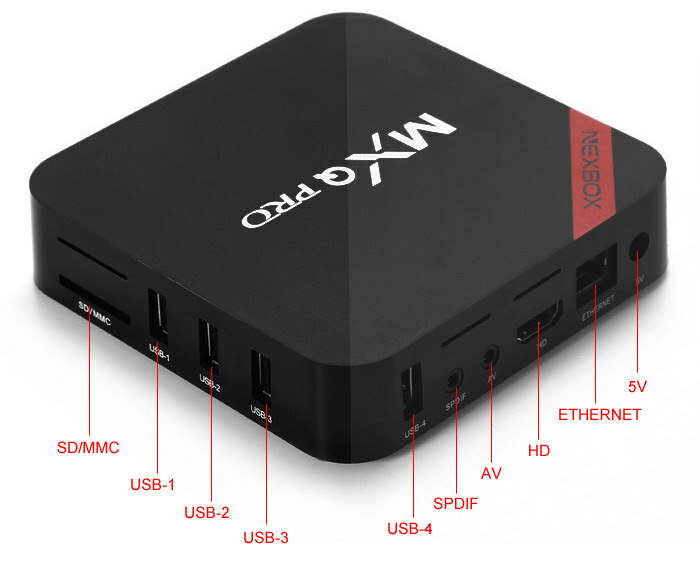 MXQ Pro TV box based on Amlogic S905 64-bit processor was launched at the end of last year for about $48. The price has come down after a few months, and GearBest is now selling NEXBOX MXQ Pro for as low as $28.99 (price will show when you add it to the cart), and if it goes back to $35, you should be able to use GBNB coupon to get it for $30.50 shipped. The device runs Android 5.1, and ships with the power adapter, an IR remote control, an HDMI cable, and a user’s manual in English. I have not reviewed the device myself, and one person did a video review, where we can see the user interface is the same as the one found on Beelink MINI MX, and his overall conclusion is positive. On ebay many sellers have it also for ~30, does it really was 70 before? $70? No, the normal price was $35.50 on GearBest. They make up a ridiculously high price, strike it through, to show a massive discount. That’s all deception (or selling technique). Ignore that price. Yeah but gearbest doesn’t have them in Stock despite doing a flash sale. Mxiii will be back in Stock 01.05 and the MXQ Pro+ on 05.05. I ordered both with express shipping and got that answer from the after sales support…. Screw them next time. Better but from another reseller. Please don’t buy anything from gearbest. Should be called gearworst. They are scumbag scammers. They show items as being in stock when you order and then send you a message that it is backordered. I had an order placed with express 3-5 day shipping sitting there for weeks because all items were apparently backordered, even though the website was showing in stock and they were still taking orders for the same items. After about a month I gave up and went through Paypal for a refund. Gearbest is a complete joke. AVOID them at all cost! I got the same response, either select another product or “wait a little longer” wtf. Either way it was sent today. Well see if it arrives. It seems you cannot trust their items in stock number. They offered some options, but none of them were refund though! hmm I ordered mine on april 17th but it was still on preorder at the time so I knew it would take a while. Eventually it was shipped on april 30th so I hope it’ll arrive soon. The only reason I ordered at Gearbest was because it was the only shop offering this box. But now I’ve already seen it being offered on Aliexpress as well for similar prices. I would prefer Aliexpress over Gearbest any day. Hey I was wondering if anyone could help. I wanted to order one of these could be used stable to watch movies/videos/etc on and maybe some small app usage if it handles that. Most of my content is 8-bits H.264 and maybe some H.265 encodes of newer date (I don’t like using this codec because of license fees if I ever feel like uploading them). Main10 is something I would adapt for quality increase, but this is probably no-go. The most important question which I am unsure of is if it supports custom display settings that I can set to for example be 72Hz instead of 60Hz. My display can be overclocked to 72Hz which is a multiple of 24fps and therefore much better for regular recordings. It works fine with regular GPUs, but I think ARM ones might not be able to handle it. Anyone ever modified it to display at a higher refresh rate than 60Hz? = 72Hz? I would love to hear if it works and how you did it. I’ m sorry for any inconvenience. About the delays, we are actively solve this problem. In general, we will take orders with the factory first, provide enough products in our warehouse. But about new products, we can’t sure the sales, sometimes sales exceeded stocks, so some shipments are being delayed. But we will take new orders with the supplier soon. About the Mini MXIII, We signed a contract with the supplier. The contract says the supplier has to provide enough Mini MXIII on Apr. 20th. However, he didn’t do so and even broke the contract. But we already send most of the orders in early May. We will get other in May.15. And I’m confirmed with my colleague, if the consumer don’t want to wait, they can contact our service center for the refund.